Comfort and support for that extra project you volunteered to complete. 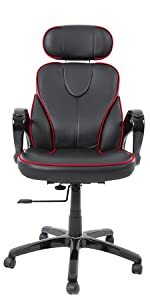 The Stand Steady Ergonomic Office Chair | Computer Chair with Adjustable Headrest offers the features you need for a workday that somehow morphed into a work night. 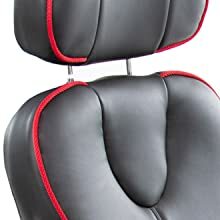 Highlights of this ergonomic chair include a height adjustable headrest, generous arm rests, and 360 degrees of swivel. It also offers tilt tension control, tilt lock, plus upgraded casters that roll easily and won’t harm hardwood floors. The premium PU leather upholstery is extremely durable and easy to care for, so you can eat your cobb salad and dive back into that spreadsheet. 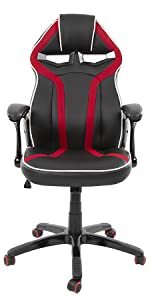 ERGONOMIC: Designed for all day support, this premium ergonomic chair cradles you in plush padding while providing a seating position that promotes good posture. 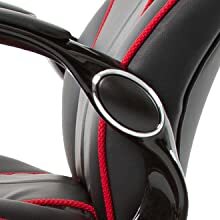 MODERN STYLE: Offering contemporary executive chair looks highlighted by black leather and striking red piping, it will complement your modern office décor. 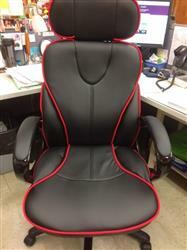 SUPPORTIVE HEADREST & ARMRESTS: This leather office chair offers a height adjustable headrest for customizable neck relief, and generously sized armrests for additional comfort. BUILT TO LAST: PU leather upholstery is resistant to wear, and easy to clean, so you can eat lunch at your desk worry free. 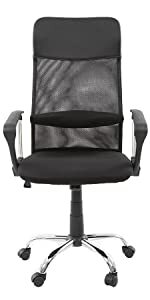 FRIENDLY FEATURES: Pneumatic height adjustment, tilt lock, tilt tension control, arm rests, 360 degrees of swivel, and high-quality wheels help make this the best executive office chair out there. Sit back, relax, and take a break from your hectic work day! 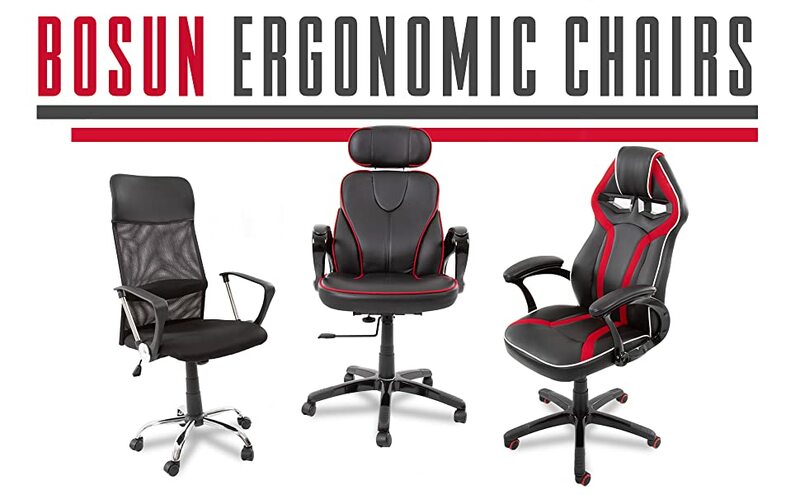 Your new Bosun Ergonomic Office Chair provides premium support and comfort, all the while giving you great posture! When those long days turn into long nights, modify your Bosun Ergonomic Office Chair with ease! 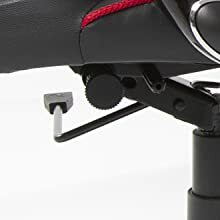 The pneumatic height adjustment, tilt lock and tilt tension control gives you full control of your adjustments! You're super stylish outside of work, so bring a little personality to your workspace! The sleek chrome detailing and pops of color make your Bosun Ergonomic Office Chair the perfect addition to brighten up your work day! Across the office chatting with your co-worker? 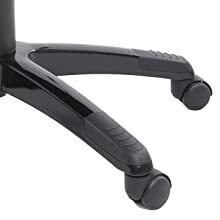 Your Bosun Ergonomic Office Chair's 360 degrees of swivel and high-quality wheels will quickly get you back to you desk before your boss notices you aren't there! So far so good, wish I could afford the ones with the foot rest.